The last weeks were always full of appointments and deadlines. So I decided for a relaxing and quiet weekend. Just looking to be at home, have a little time for myself and take a relaxing bath (I love that). This is more than perfect for my right now. I was often not at home (during the week to work, going out with friends, visited the family: the list is endless). Of course it is great with the people around you you love. But sometimes you need a pause with yourself. That’s why I’ve been looking forward for this weekend. As yourself always comes after the others, this is the wright time to change this (for the moment). So I needed to get my favorite shampoo (it sounds strange, but I missed it so) and because I was just in the store anyway: the best hair mask and a bubble bath with a great scent. Review: It was a great weekend and it’s not over yet. This evening is ending with sushi dinner. Then I’m ready for the next weeks! I hope your weekend was nice and you could fill up your power. Because we still takes not enough time for ourselves. I love hot tubs and warm baths. It’s very soothing. Especially since I’ve been so busy lately, I need to find some time to relax as well. And I hope you find time to relax, too. It is so important to have time for yourself. I’ve been wanting to try out the lush shampoo for a while! I wish I had a bath to relax in– you definitely need it after a long and eventful week. There’s nothing wrong with recharging the system! I can understand you very well, I had a while no bath, too. 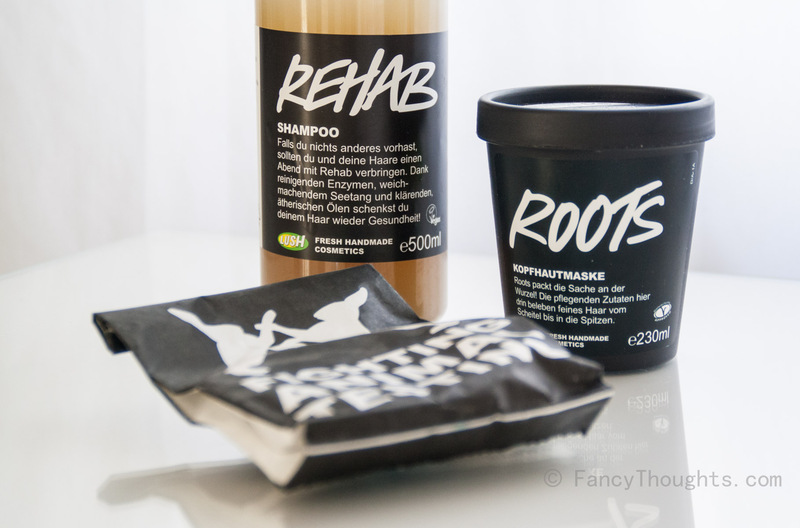 The shampoo from Lush-it is very good. my hair is soft and easy to comb. And looks great!